What is a Maker Expo? The World Maker & Inventor Expo is a celebration of making, inventing, problem solving and innovation with robotics, 3D printing, drones, aerospace, coding, micro-computing, CSI, Arduino, graphic design, engineering and much more. The family-friendly expo will feature projects and programs from over 100 schools, universities, companies, and organizations in the greater Cincinnati-northern Kentucky regions. Enjoy workshops and competitions, including drone relays, 3D design, outlaw derby races, as well as delicious pies, fries, kabobs, sandwiches, waffles and shaved ice from area food trucks! Where and when will this be held? 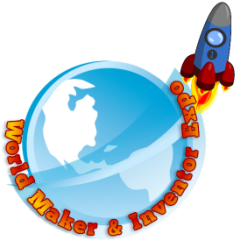 This year’s World Maker & Inventor Expo will be hosted at Boone County High School, in the gymnasiums, from 10am – 3pm on Saturday, April 27, 2019. The address for Boone County High School is 7056 Burlington Pike, Florence, KY 41042. We have a variety of ways to become involved! 1 – Become a volunteer! We are constantly in need of volunteers for this event. We need help setting up and taking down, assisting with directions, running errands on the day of, ticketing, and more. For more information about volunteering, click here. 2 – Host a booth – If you have a passion or are involved/lead an organization that lends itself to education, technology, making, creating, inventing, etc., we invite you to host a booth at our Expo! This is the best way to become involved, and to meet others with similar interests and passions! 3 – Attend the expo! You can purchase tickets to attend the expo by clicking here. Tickets become gradually more expensive between January and the event date, April 28. We encourage you to purchase tickets in advance to offset any cost! 4 - Become a sponsor! This event, and the activities, lessons, and camps at NKY Makerspace are made possible through the donations and sponsorships from our community partners! We have a wide array of donation options, and we encourage you to consider any option that may be best for you. To learn more, visit out "Sponsors" tab on this website! What do you mean, ‘host a booth’? By hosting a booth, you are showcasing your own project, organization, or activity. Each booth should exhibit or showcase something in one or more of the STEAM/Maker fields. The more creative, interactive, and innovative, the better! Booths can be informational or interactive, though we recommend being interactive to increase foot traffic to your display. What is included when I register to host a booth? What does this look like on the day of? On the day of, we will have 150+ booths showcasing projects/passions/activities. Booths will be a combination of schools, organizations, businesses/companies, hobbyists, and more! Attendees participate by exploring the booths and joining in any available activities. We do promote contests on the day of and will have many raffles throughout the day! A DJ will also be on sight to keep the energy high and music loud! Contests and activities have included Drone Relays, Robot Soccer, SumoBot competitions, 3D Design contests, Moat Boat races & Grand Prix car racing. This year's activities are yet to be announced! Yes. Food trucks will be on sight, weather permitting, to serve food and drink. We recommend bringing cash, as this is an additional cost separate of the Expo itself. If you choose to host a booth, your admission is free of charge. Teachers (do not have to be Boone County teachers) who show ID at the door are also admitted for free. Family 4-packs can also be purchased for $30! Tickets can be purchased by clicking here. We also recommend checking out our Groupon deal.